This year, Brum Spirit celebrates the power of combining forces, to make lasting and positive change on our doorsteps. From brightening up grey urban spaces with yummy fruit, veg, useful plants and wild flowers through Gaia’s Garden, to throwing family friendly celebrations in forgotten buildings, we’re all about championing what can be achieved when we’re in this together. As part of this celebration, we’re championing the Old Print Works Unit Partners, in their campaign to ensure the future of this vibrant creative hub in the heart of Balsall Heath. This group of very talented craftspeople, arts educators and community activists enliven this 30,000 sq ft ex factory building with industry, activities and events that focus on hand made skills and wellbeing. 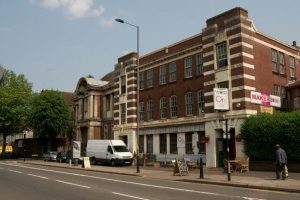 From ceramics to yoga, metalwork to photography, upcycling to fashion design, there’s a real buzz behind that huge factory frontage, right opposite Moseley Road Baths and next door to Moseley School of Art. Not forgetting Ort Cafe of course – a welcoming and cozy community space where you can enjoy home made cakes, live music of all kinds, spoken word, neighbourhood meet ups and language classes. 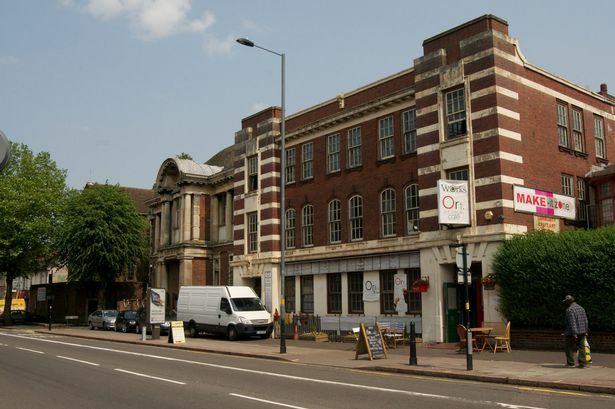 Faced with an uncertain future, the Unit Partners are rallying together, so this Grade 2 listed community arts venue can be restored and maintained for the benefit of Balsall Heath residents and visitors, for years to come. Things are moving quite quickly, and there will be plenty of ways for you to get involved along the way. Just this week, we heard the awesome news that Arts Council England have granted an amazing £100k to help secure the future of the Old Print Works! You can read more about this latest development here. Look out for more updates on the Save Our Print Works campaign, and get involved – this place is meant for everyone – we’re in this together! What does Made Welcome mean to you? An opportunity to meet a diverse mix of people from all over the world. After the first session I had met so many people from all over the world, it’s an amazing experience. For the participants, I think it it gives them an opportunity to get involved, to meet other people in a similar situation. Particularly the mothers, and talking about legislation and what happens when their children turn 18, it’s a place to share knowledge and experience. What do you cover in your workshop? We covered all sorts, from the beginnings of playing with clay to pot making. We are making pots, and a few people tried the potters wheel, some have painted their finished articles. It’s been really lovely have been painting vases, with many using colours from their culture. We have faced challenges with the time frame and having to incorporate the process. We give them space to combat the negative messages in the media and concentrate on things that are beautiful and useful. Where are you from? How long have you lived in Birmingham? I’ve lived here most my life. Personally, the microscopic and the microcosm, patterns in nature and microscopic images of virus. How did you find out about Made Welcome? Through Tessa Burwood, and being a part of the Old Print Works community. Why did you want to get involved with Made Welcome? I believe in it, and what it wants to achieve. I don’t watch the news, as I am aware that it is mainly a propaganda vehicle, and I cant listen to anymore negative and ignorance towards asylum seekers.No one talks about what we have in common, its only our differences pointed out. I want to talk about what we have in common. What skills do you hope to teach the participants? Well not just working with clay! The whole idea of self reliance, that if you need something you make it or trade for it. If you want to start selling something then you can make something and sell it. And that their are support networks open to them. How have you found participants have received the workshops so far? Some people are really enjoying it, but some find it dirty, although they are all really proud of what they have made. How has Made Welcome benefited you as an artist and personally? How can we find out more about your art? The Pottery have Facebook, Instagram and a blog. You can find out more about the workshop here. Check out Becky chatting more about Made Welcome on Big Centre TV! Pewter sheeting, paint, fabric, and paper. I gain pleasure from giving ability and knowledge to people who think that they ‘can’t’….. Giving empowerment to people of all backgrounds and abilities and working with people who derive pleasure in seeing a beautiful end result. I teach the fundamentals of metal embossing and how it can be used to adorn everyday items. I’m from Cape Town, South Africa, but I’ve lived here for 22 years. African art, nature, embossed silver books and old buildings. Through being at the Old Printworks..and through Tessa! I enjoy delivering workshops and working with people form different backgrounds, and Made Welcome seemed like an especially worthy cause. How do you think Made Welcome will benefit the participants? I think it will give them the empowerment to use the skills they have learnt to start something of their own one day, maybe! How to emboss metal sheeting and how to use it to enhance everyday items. Also to give ideas on how to make one’s own items, for their own homes/uses. All participants have enjoyed the course! Teaching adults has given me a different perspective on the way I usually teach – I am used to doing children’s workshops! Have you previously worked on any similar community projects? Yes, in South Africa, but with children as opposed to adults. Has Made Welcome made you want to get more involved in similar community projects? You can check out more from Made Welcome on Facebook here. OK, ladies and gents, you might have been asking yourselves what happened to us over the last two years. Not that we think you sit there thinking about us all day, you’ve definitely got better things to do! There has been a hiatus, however, and it’s time to explain. Let’s break this down: Brum Spirit – Professional Incredibles‘ fabulous cultural exchange between Birmingham and Brazil – was founded in 2011. Back then, it was known as Espirito Brum, due to our partnership with a Europe wide network of festivals called Espirito Mundo, run by a production company from Brazil. We ran three editions of Espirito Brum, in 2011, 2012 and 2013. Every year, a whole new bunch of visiting artists came to visit Birmingham, from all over Brazil. They created, performed and shared alongside artists from Brum, and from the wider UK, in neighbourhoods all across our beloved home city. We had a wicked time, we learned a lot, we made loads of mistakes, and we made magic happen. In 2013, we partnered with Kings Heath Business Improvement District to bring a carnival inspired focus to South Brum’s favourite High Street. Campinas raised Flautins Matua led the parade as part of their European tour. We also curated the Welcome to Kings Heath mural – painted by Brazilian artist Ficore, alongside Kings Heath’s very own Hoakser. Three years on, the mural is still there, untouched and brightening a little corner of B14. Its gets seen by around 4500 road users per hour, and as you can see from this article, it’s become synonymous with the neighbourhood. 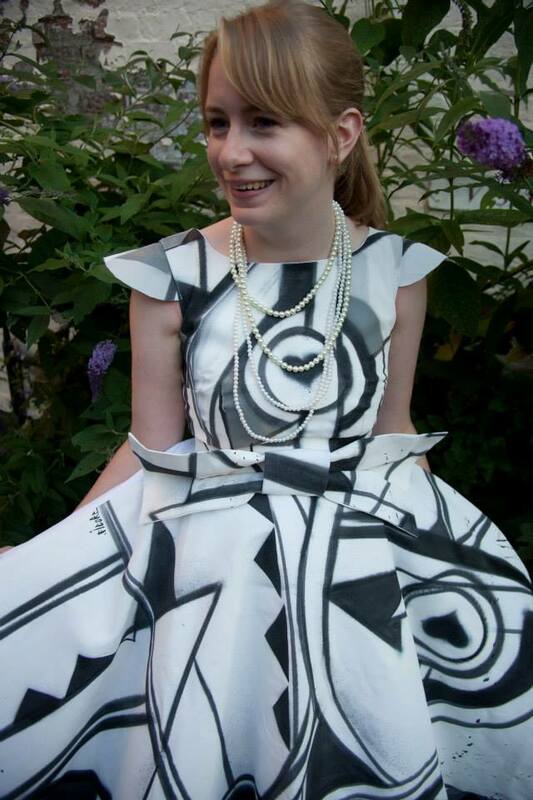 Ficore also collaborated with Mr. Christian – in house designer at indie boutique The People Shop – on a one of a kind graffiti dress. Why the heck not? Our 2013 edition was lush. It was also quite stressful, and due to ethical differences between ourselves and the makers of Espirito Mundo, briefly centring around our belief that artists should be paid for their work, so that they don’t die of exposure, in 2014 we rebranded to Brum Spirit. This also meant that we could extend the cultural exchange up to involve visiting artists from other nations, as well as those from Brazil. The name Brum Spirit encapsulates the sense of welcome, tolerance, self determination and eclecticism that Birmingham embodies as a city, and we wanted to open our homes and our hearts to artists from all over the damn globe. For Brum Spirit 2014, we did just that. As well as welcoming back visiting Brazilian musician Jota III for the 4th time, we called on Kadialy Kouyate from Senegal, and CASCA from Cameroon, through our partnership with Celebrating Sanctuary and Muzikstan. In line with our commitment to brighten up neglected corners of Birmingham with crowd curated public artworks, we hosted French graffiti artist RCF1, while he completed a collaborative mural in homage to Brum’s underground music scene, alongside Hoakser. So, nicely settled into our new name, and continuing to build on our small but carefully formed exchange model, Brum Spirit was going swimmingly. Then, one day, our Director Tessa Burwood decided it was about time she set herself a new challenge – one which would take up a heck of a lot of time. So she buckled down to studying for a Graduate Diploma in Law, at BPP Birmingham, and she blooming well passed. What with that, and creating our sister project Levitate, there was no time to run a full edition of Brum Spirit in 2015, so we took a year off from public events. We did make this wicked film though, all about Birmingham’s music scene, with a little help from Jack Daniel’s Tennessee Whisky. So, that explains the hiatus. But fear not – Brum Spirit is back in 2016! Yey! We have loads of cool things to share with you this year, and we cannot wait to get started 🙂 Thank you big time for bearing with us 🙂 Tamojunto familia! So folks, we told you this year’s community mural would take pride of place on our favourite underground venue, PST. Well it’s done, it’s happened, it’s in the bag, and it looks wicked. Brum based graffiti artist Hoakser collaborated with Parisian veteran RCF1, for a meeting of styles in true homage to this venue’s rich musical heritage. Watch this video by Brumterritory to see what went down. So you may have noticed we have under gone a little rebrand of late? Incase you were wondering what it is all about we got together with Brum Spirit project organiser Tessa Burwood to explain in her own words whats been going on behind the scenes. Q) Tell us about your job? A) At heart it’s about encouraging positive connections between artists, audiences, businesses and communities in Birmingham, supporting them to create together and share their world views. It’s also about producing parties out of magic hats in unexpected places, getting covered in glitter, dancing like there’s nobody watching and appreciating the small things that make our city and its people a fabulous place to live and work. Q) How and why did you get into doing what you do? A) That’s a huge question. I was working at the time as a journalist for BBC WM back in 2008, and had taken the week off to help interpret at WOMEX, as part of what was then West Midlands World Music Consortium. This huge confluence of music industry professionals from all over the globe was so inspiring to me – I found a place for myself in the mix, helping people network and build relationships in Portuguese, French, Spanish and English. I lost my voice over those five days, and came back buzzing with all the potential and possibility of such an inspiring sector. Shortly after that, I decided to quit my job and start out on my own in cultural production. 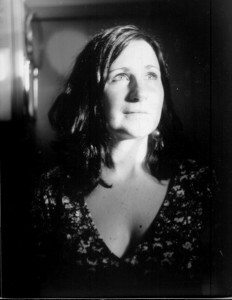 It was quite an impulsive decision – I was very young and naïve at the time – and the Credit Crunch hit just as I was starting my first project (the launch of Jo Hamilton’s album Gown (2009), with Poseidon Music and Arts DeVille). What a huge learning curve that was! Shortly after that, I met creative practitioner Soesen Edan, and we set up Professional Incredibles. Our goal was to bring together touring and locally based artists on the Brummie circuit in unique live settings. Five years later, we are still growing and learning, PI is still in business, and I feel very fortunate to be surrounded by such inspiring people, who truly add value to the lives of others through their creative endeavours. Q) How did Espirito Brum begin and what were your creative ambitions for the events? A) This cultural exchange evolved from a chance conversation in a taxi in Seville, just as WOMEX was winding down back in 2008. We were offered the opportunity to run the UK edition of Espirito Mundo, in partnership with Instituto Quorum – a production company based in Vitoria, Espirito Santo, Brazil. Having lived and worked for some years in Brazil, the country’s culture, music and language were already an important part of my world view. We knew the project could be really positive for Birmingham, and we like a challenge, so in 2011 we held the first edition of Espirito Brum at The Edge and PST in Digbeth, in partnership with community arts stalwarts Friction Arts. Espirito Mundo gave us the opportunity to host visiting artists from across Brazil right here in Birmingham, and to open creative collaborations with UK based artists and communities. It was something we just had to make happen, and we worked as part of Espirito Mundo for three years, as part of a Europe wide circuit, before striking out independently. So far we’ve hosted over 100 artists from Brazil and other nations, in collaboration with over 300 artists from Birmingham and the wider UK. The connections we forged through Espirito Brum also led to two tours of Brazil in 2012 and 2013, where we helped 25 British artists work across five cities. We held music workshops in charities and universities in Sao Paulo, concerts in a 5000 capacity amphitheatre surrounded by monkeys in a jungle park in Belo Horizonte, large format photography exhibitions in Vitoria, and a few more unexpected adventures besides. Q) What are your own personal highlights from Espirito Brum? A) Our Welcome to Kings Heath Mural, that’s the most satisfying thing yet. Also, catching Rioghnach Connolly and Dea Trancoso teaching each other their favourite tunes, back stage at The Edge in 2012. This year’s edition of Rebel Spirit – just check out the video 🙂 Learning that Brazilians find tea with milk a bit weird. Too many blessed memories to recall here! Q) How has Espirito Brum developed? A) In 2014, we decided for several reasons to part company with Instituto Quorum and Espirito Mundo, and evolve into Brum Spirit. We wanted to open out the exchange to reflect Birmingham’s cosmopolitan nature, and we were determined to continue empowering artists to work in an atmosphere of respect and professional development. Q) Why is it important to try something new with someone new? A) Variety is the spice of life! We all know that, and it doesn’t have to cost much to try new things. We put on free, family friendly events for this reason – just like the daytime activities at Muzikstan Midsummer Festival. We want to open the doors wide and attract as many people as possible, from all walks of life, out of their houses and into each other’s company, so they can make and do stuff and share thoughts and play games. That’s what makes a neighbourhood more resilient. What is happening in Brazil right now? A) Well, I’m not an expert, but right about now in Brazil I know there are just over 200 million people getting on with their lives, across a huge and divisive socio economic spectrum. As we bathe in the green and gold glow of all the ruckus surrounding FIFA Rio 2014 and all it entails, it’s easy to forget that, until just 30 or so years ago, the nation was atrophied by violent military dictatorship, and some would say little has changed on the streets. There’s an astounding level of income inequality, a woeful lack of true rule of law, exacerbated by a “pro rich tax system”. Check this out – I squealed when I read this: Brazilian citizens earning more than 30 times the minimum wage are taxed at about 26%. Meanwhile, those earning less than twice the minimum wage are taxed at 48%. How does that work? While more private helicopters are chartered in São Paulo each day than anywhere else in the world, the nation’s richest 1% earn the same income as Brazil’s poorest 50%. A study by the US Embassy in Brasilia in 2010 revealed over 23,000 street children working in highly dangerous sectors from construction to animal slaughter, over 75 Brazilian cities, and according to the Latin Business Chronicle, corruption costs the national economy over $41 billion per year. This is not comfortable reading, and it’s just a broad overview. In the context of the World Cup, however, it’s important to look at such statistics. The other night I watched the opening match between Brazil and Croatia at PST Digbeth, alongside Brum Spirit veteran and Brazilian reggae singer Jota III. Q) Why are international collaborations important? A) When people agree to take an adventure together across what appear to be the barriers of difference, they are more often delighted by all the things they have in common, than troubled by the things they don’t share. At the same time, such a confluence of differing world views and perspectives allows us to gently interrogate the social issues and paradigms that shape our lives today. Beauty and inequality exist around us all, in our every day lives, and sometimes we are too wrapped up in our own particular outlook to really see this in detail, or be able to make objective and positive changes. By opening up our homes to visitors from other lands, and agreeing to share our space with someone unknown, the every day routine becomes special, and the delightful process of sharing and learning together comes into its own. Q) Why Brazil and Birmingham? A) Why the heck not ey? The Brazilians who have visited us over the years are ambassadors for their country on their way in, buoyed up by all that confidence that is part and parcel of being from a nation with so many riches of so many kinds. After their time here, in a city most have not heard of before their arrival, they become ambassadors for Birmingham. That is a really special result of this exchange. Our city can be so deferential and unassuming, despite its powerful history and growing influence. That’s part of its charm and its strength, as well as something that can hold the city back. It’s a huge boost to hear from those who visit us from Brazil just how welcome they feel. I remember when Dragões de Komodo came with their wonderful manager Adriana Franco, back in 2012. It was the first trip out of Brazil for this São Paulo based hip hop collective, who are at the forefront of a thriving conscious underground movement across their home nation. They are also family men, poets, teachers, students, sports fans, foodies, counterculture lovers and proper gentlemen. They had no idea what to expect, some of them spoke no English, and when they arrived they were tired, a little nervous, and freezing cold. We took them home in Soesen’s van and made them supper, then went on to Jazz at the Spotted Dog in Digbeth, where the landlord John Tighe introduced them to Guinness and a true Brummie Irish welcome. At the end of their first evening, the boys realised they were sleeping in my bedroom, which I’d made up for them for the week. I told them, “Vocês estão em casa / This is your home.” They slept for about fifteen hours on that first night, and woke up fully ready to work their genuine charm on Birmingham’s hip hop scene. By the time they had to leave, they’d taken about a million photographs of the varied cityscape and its people, performed 5 shows across Brum, filmed a music video and recorded vocals for an EP, fallen in love with fish and chips, and forged a whole bunch of creative partnerships that are still in force today, through their co productions with Munchbreak and DJs Feva and Switch. Experiences like that make this whole project worth all the effort it takes to organise. I’m sure Brum Spirit will evolve to include exchanges with other places – that’s the plan anyway – but this Brazil / Birmingham vibe is really special, and I wouldn’t change it for all the samba in Salvador ;). Q) What is the best part about working in Birmingham? A) The people, and the Brummie sense of humour. Surprising every time. A) Local politics – it’s a challenge to see beyond ourselves and look at what can be achieved when we work together. Q) What is your favourite place in Birmingham? A) The Rea River Valley. Q) What makes you proud about living in Birmingham? A) If someone tries to be racist in public, they are invariably laughed out of the room or off the bus. Q) What one thing would you change about the city? A) We need a night bus service. Oh my gosh, just found out it’s happening next month for the 50 route! OK, we need better cycle routes. Q) What one thing you would champion? A) Our independent music industry, in all its glorious variety. Q) What is Brum Spirit and what does it mean to you? A) It’s about tolerance, open mindedness and really appreciating a good masala fish and naan. Q) What has happened recently that gave you Brum Spirit? A) Yesterday I saw a young Sikh dude and his Jewish mate skating together through New Street, sharing a packet of Hob Nobs. Classic. What a great time we had, running the fourth edition of Rebel Spirit – our celebration of Birmingham’s underground music scene – in association with International Dance Festival Birmingham 2014. As part of IDFB‘s Paint the Town Red Series – a series of events throughout the festival which drew attention to the city’s varied social dance movements – we put together a really eclectic lineup – a bunch of artists from all walks of life, who had the pleasure of whipping up PST’s main room into a light hearted frenzy of dance and movement. 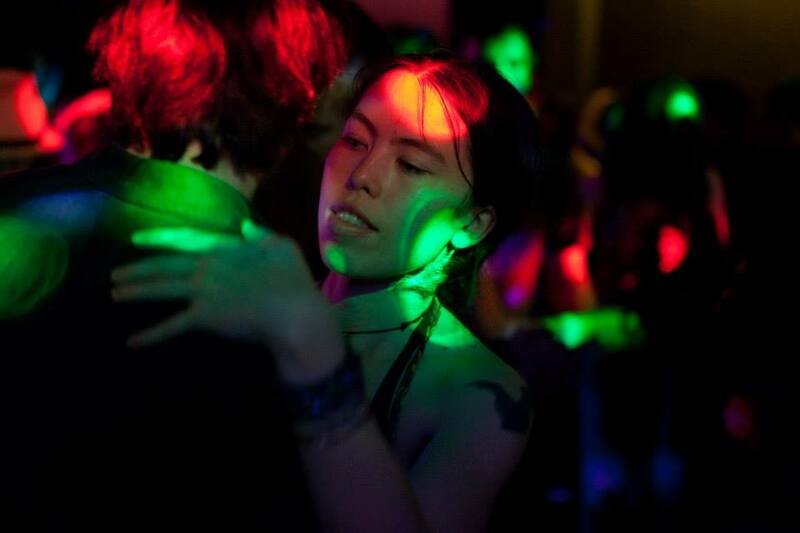 Global roots venue PST has a 15 year history springing from the Jamaican blues dance movement. Where better for breakdance initiative Open Circles to join forces with Northeastern Brazilian social dance enthusiasts Forró in Brum, Nottingham School of Samba featuring pioneering Afro Brazilian choreographer Irineu Nogueira, and Capoeira Cordão de Ouro Birmingham, for an open floor event where everyone got a chance to try out new moves? Brazilian reggae and hip hop star Jota III joined forces with DJ Destruction Turntablist Champion DJ Feva and DJ Silence to host proceedings, with guest appearances from old school reggae vocalists Pablo Rider, Lionart and Juggla. 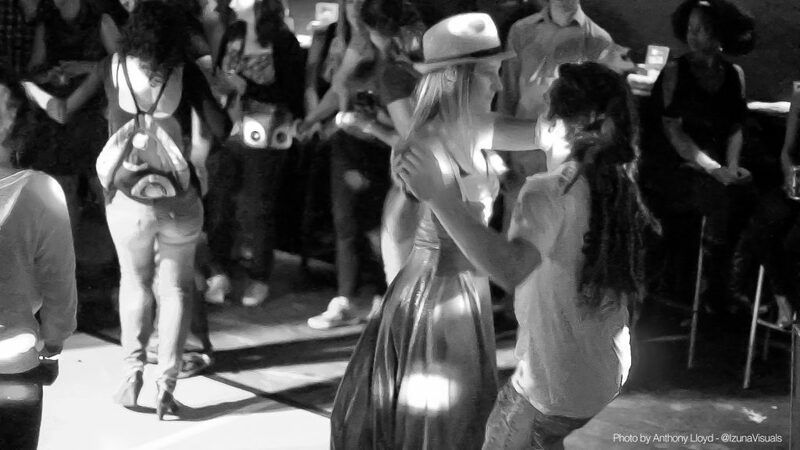 It’s not every day you see roots reggae, hip hop, samba, forró, breakdance and capoeira join together all under one roof! Almost 200 people joined us for a welcoming vibe, home cooked Jamaican food and a roof top after party that took us through to dawn. Image makers from Izuna Visuals and Some Cities created gorgeous photos and video of the night – so even if you didn’t make it, you can get a little sense of what went on. There are also a few shots on our Instagram and Facebook pages. We were thrilled to discover, when the dust had settled, that proceeds from ticket sales had raised £400 to support social dance movements in Birmingham. Any excuse for a boogie ;). Brum Spirit is open to submissions from UK artists. Get in touch here.